When I think Autumn I think tartan. 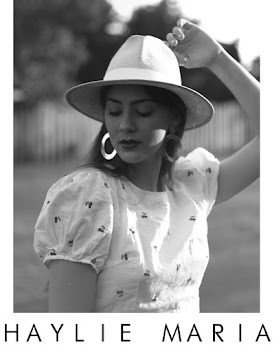 It is the print of the season and it is finally acceptable to bring out. 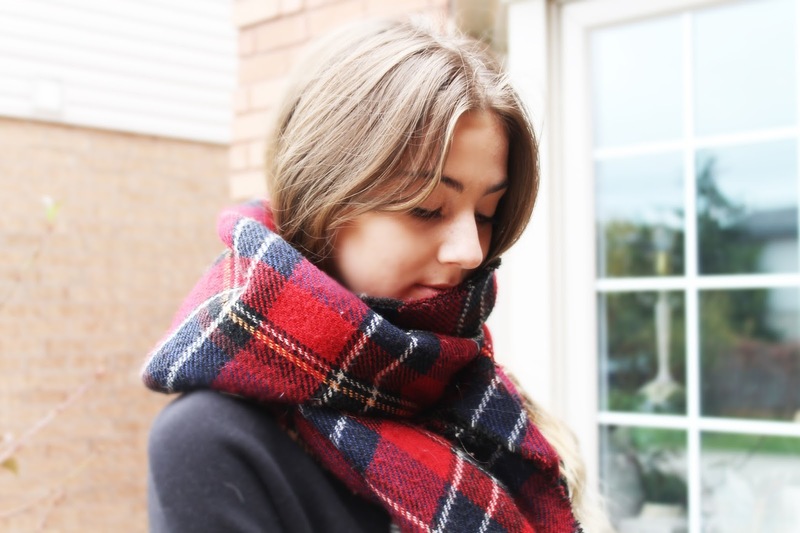 This oversized scarf has been my love for the past year because of its thick knit as well as it showcases the perfect tartan colours. I pair this with every outfit I can because it is so incredibly versatile. When I was really into distressing jeans and DIY jean cut-offs, these classic blue denim shorts needed to be made. They have a higher cut at the two hip sides so they really make your legs look a lot longer. 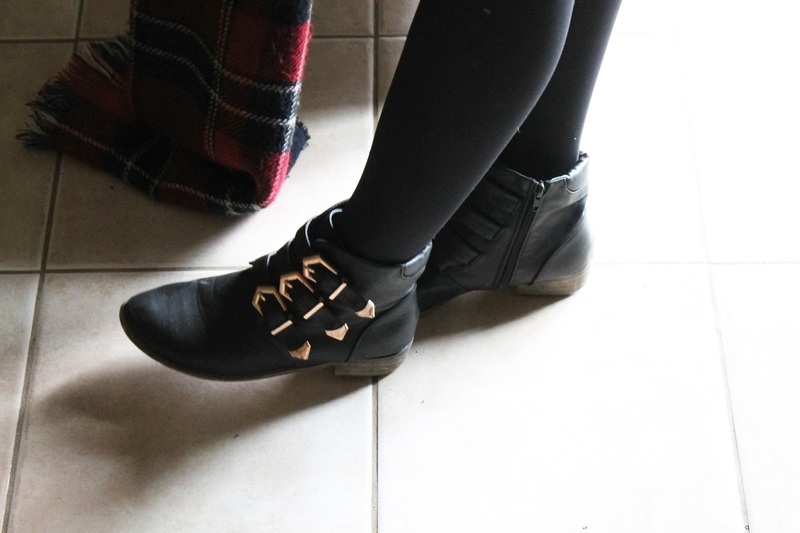 Pairing these with black sheer tights as well as black thigh-highs gave them such an edgy look! I have never worn shorts with two layers of tights but it adds so much dimension and that extra bit of warmth for this season. share, comment, and follow if you like posts like this one!